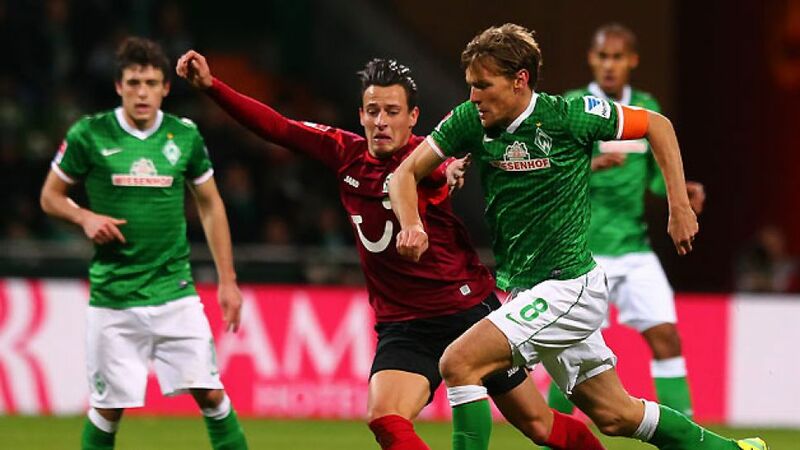 Bremen - A last-gasp 3-2Nordderby win for SV Werder Bremen over Hannover 96 gave Robin Dutt's men their first victory on home soil since Matchday 2, and had the hosts' breathless with joy. Cedrick Makiadi: This is so much more than three points, we won a derby against Hannover, and picked up a win here in the Weserstadion after four games without one. We played like we were free from any worries, and you can see the fans sensed that too. It's great that they're happy. Aaron Hunt: We wanted to get a reward for recent performances, and it's always great to win late on, particularly in such a big game. Ron-Robert Zieler: It was an even and open game from both teams, obviously we wanted to win; you could see our desire. The game ebbed and flowed, and it's unlucky we lost really. We played well, especially going forward, but there were a few mistakes and unfortunately we lost. It's very frustrating. It was a turbulent game. Edgar Prib: When you lose by such a tight margin, it's always disappointing, but if you concede more than you score then that's the way it works.